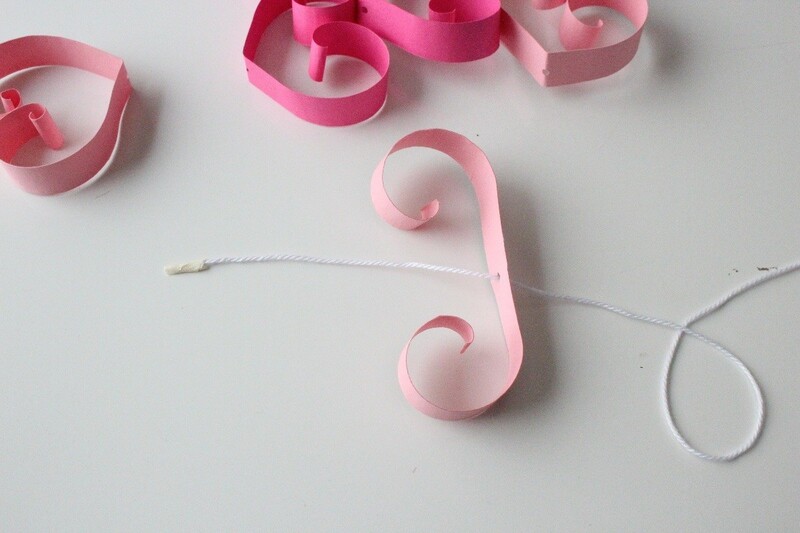 Turn strips of red and pink paper into cute curled heart shapes that are then strung into a garland of any length. 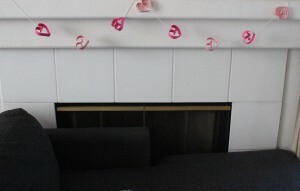 Decorate the mantel or other places in your home or office. 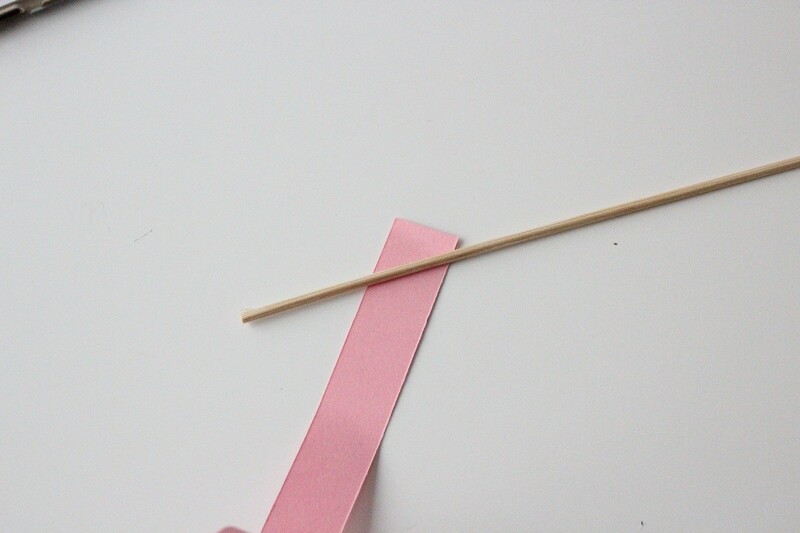 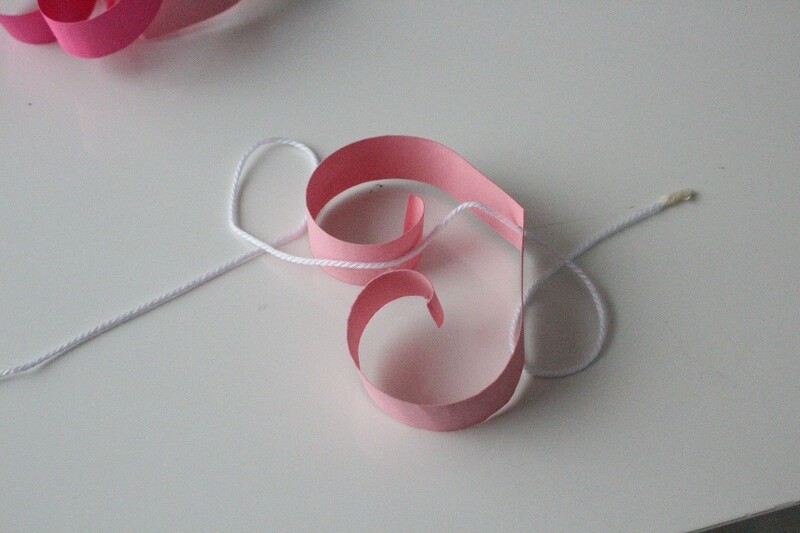 This guide contains photos and instructions for making a paper Valentine's Day hearts garland. 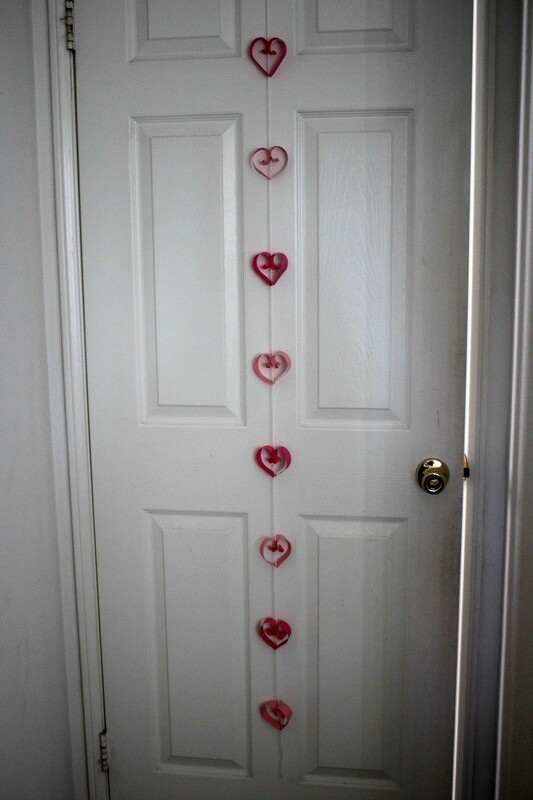 Here is a cute and festive hearts garland that is easy to make. 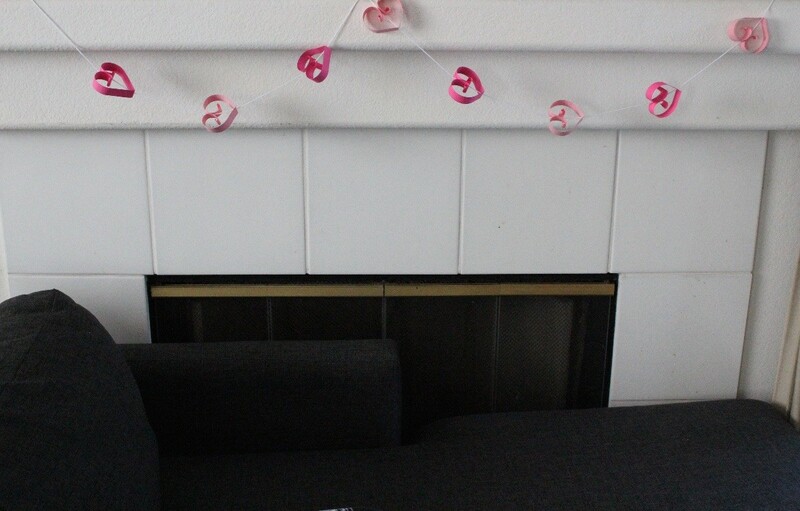 It is perfect to make for your fireplace, room decor, for your bedroom door, or make multiple strands for a photo backdrop for a Valentine's Day party. 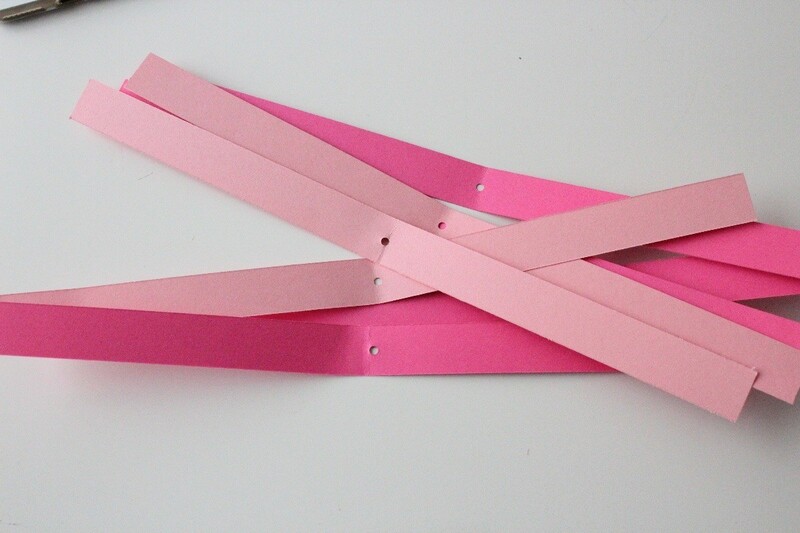 Using construction paper of your choice (I used assorted pinks), cut 3/4" strips. 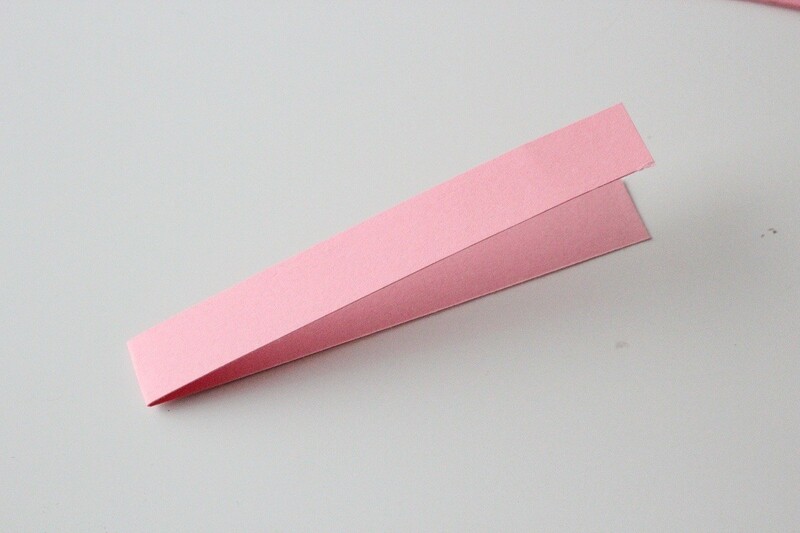 Fold strips in half and punch a hole in the center. 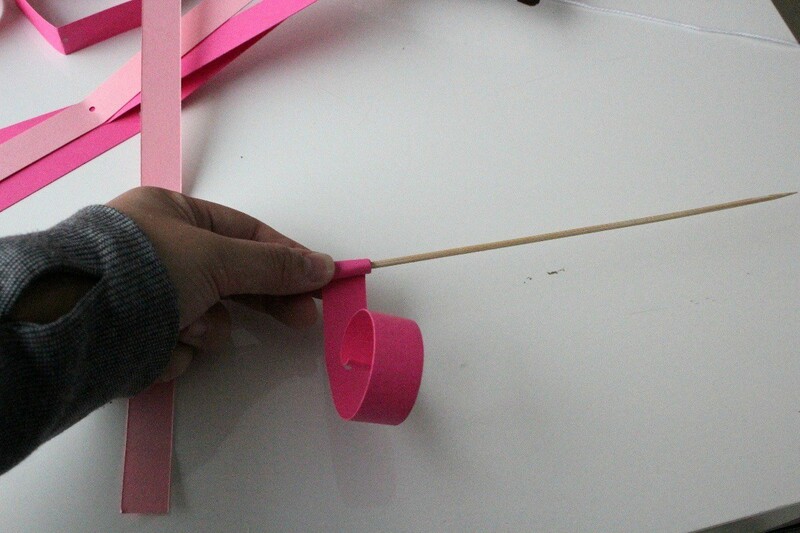 Using a bamboo skewer or pen/pencil roll both sides to spiral. 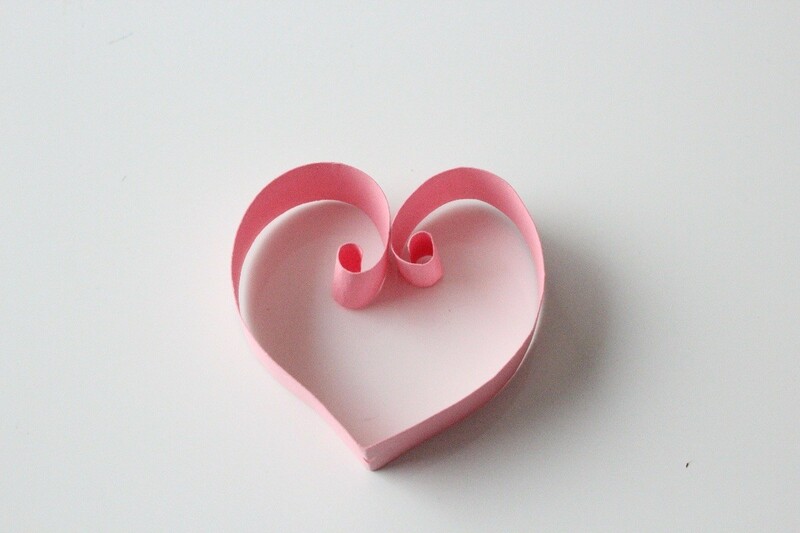 This will form your heart shape. 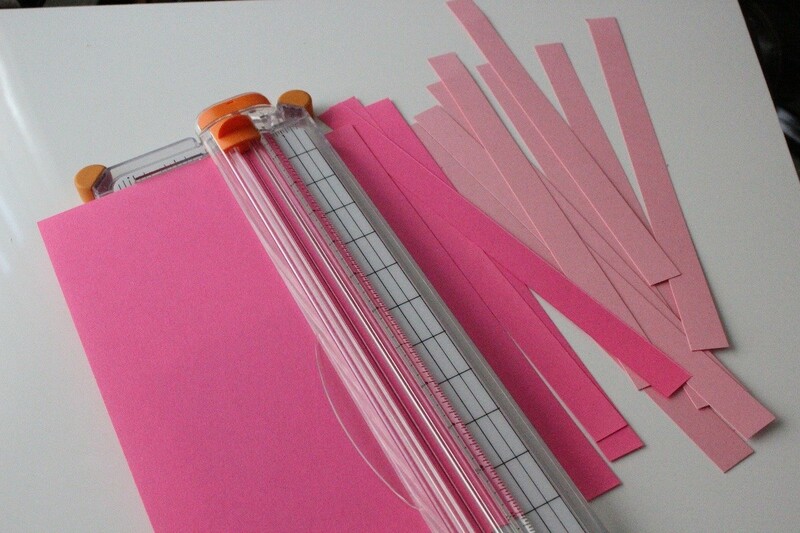 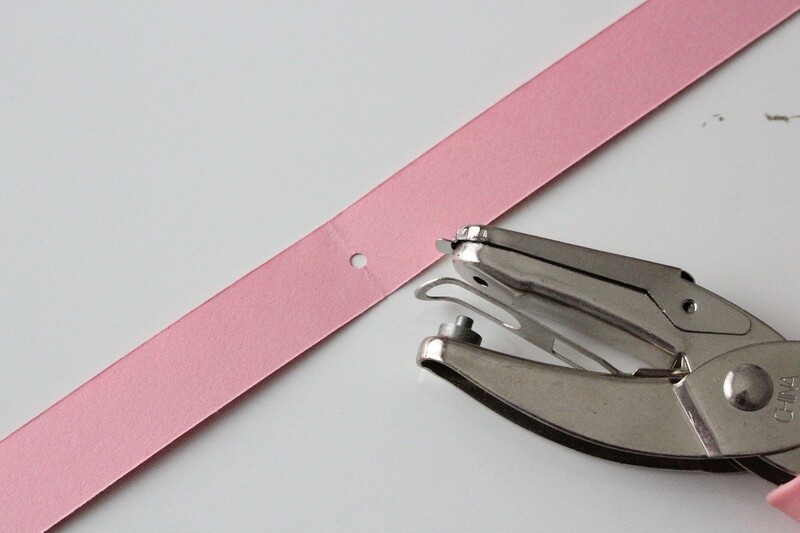 Determine the length you want your string/twine then start threading the strips. 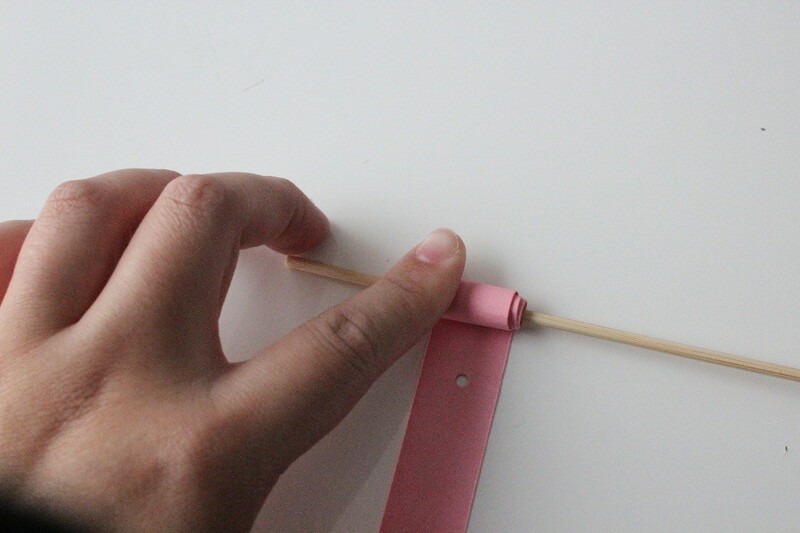 To thread the twine through the strips easier tape the twine tip with masking tape. 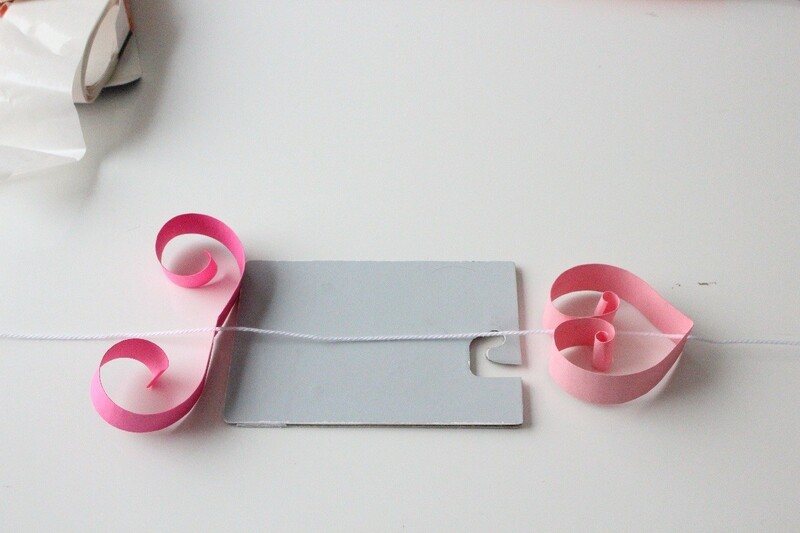 Then using the glue dot secure twine and heart together. 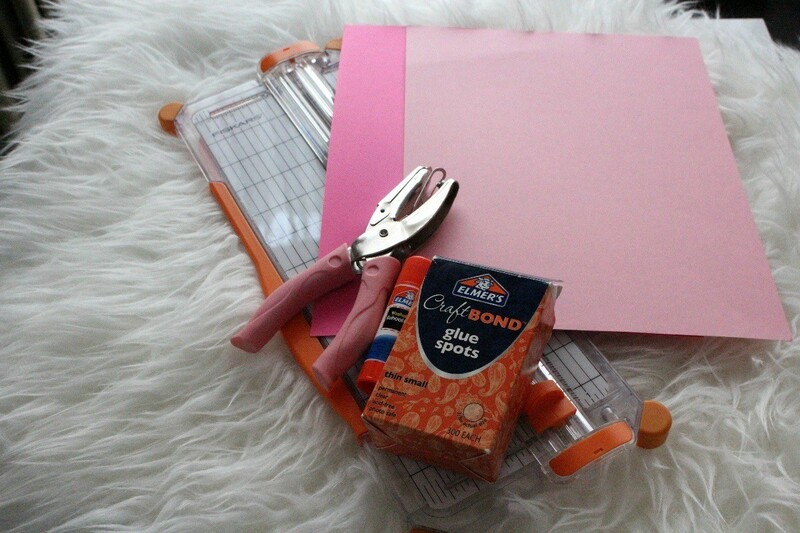 You can also use hot glue gun. 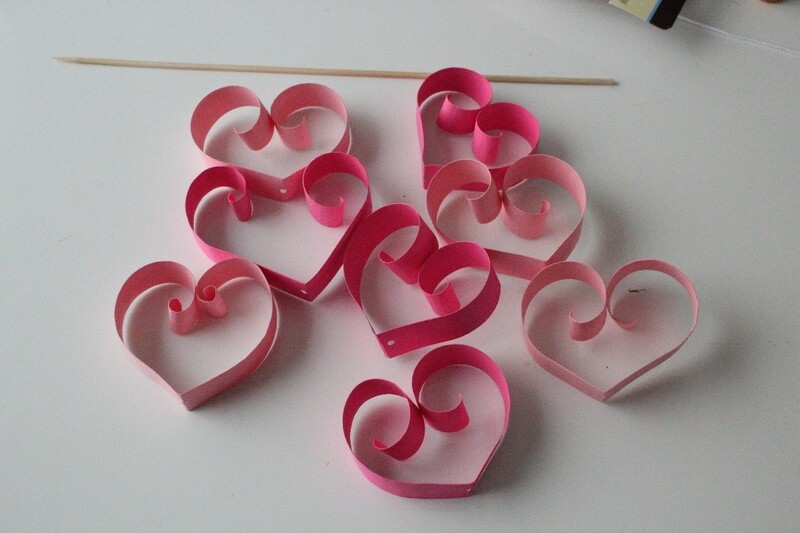 I spaced my hearts 5" apart with this piece of cardboard I had as a guideline. 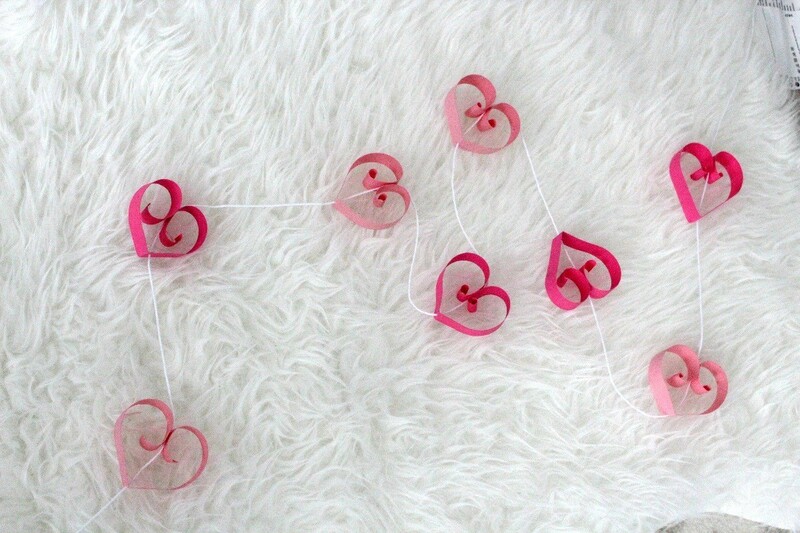 You can now display your heart garland. 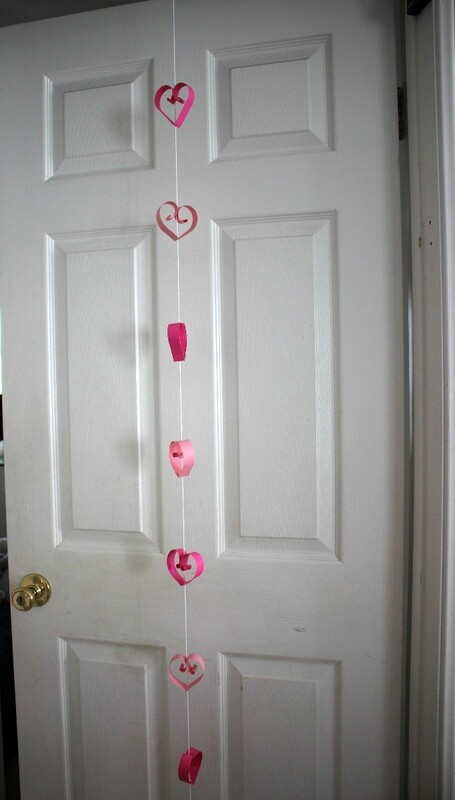 Examples: on mantle, behind door, or outside room door. 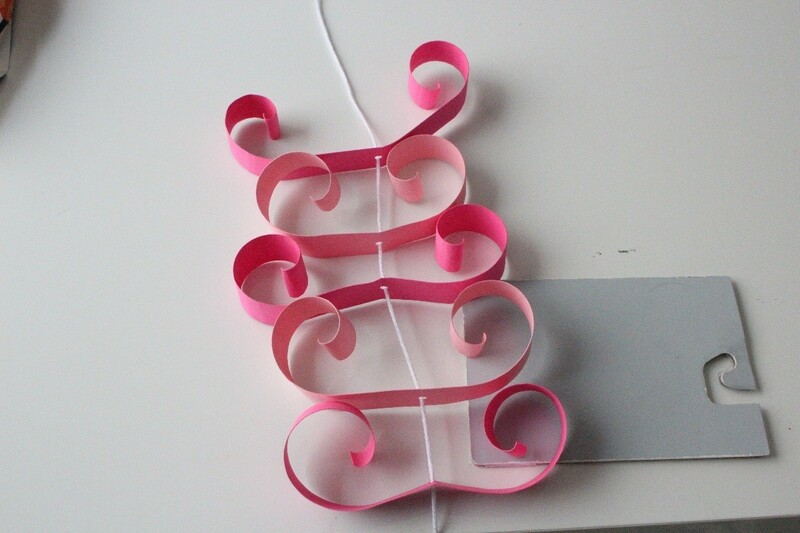 You can also put along your bed, bookshelf, desk, as a photo backdrop, etc.